Photos via Sierra Nevada Brewing Co. 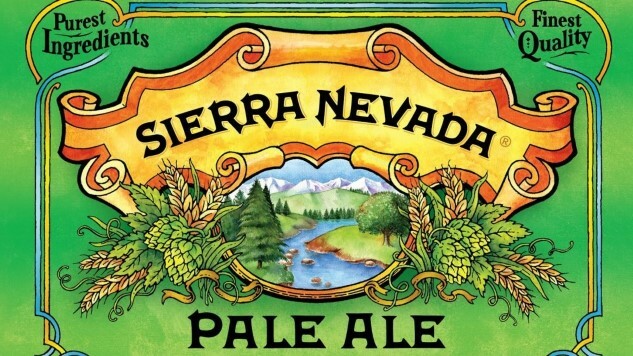 Drink News Sierra Nevada Brewing Co.
As a series of wildfires in California continue to rage out of control, claiming human lives and destroying family homes, an iconic west coast brewery has stepped up to help in more ways than one. Sierra Nevada Brewing Co., beloved by all for staples like the groundbreaking Sierra Nevada Pale Ale among many others, has established the Sierra Nevada Camp Fire Community Fund via the Golden Valley Bank Community Foundation. The family of Sierra Nevada founder Ken Grossman kicked off the fund with a $100,000 donation, and you can donate yourself by clicking right here. The Camp Fire is currently burning and ravaging within the Central Valley county of Butte, located a few hours north of Sacramento. It’s the deadliest and most destructive fire in the state’s history, having destroyed at least 7,000 structures to date, while also being to blame for the deaths of at least 44 residents. This is a pain that Sierra Nevada knows all too well, as Butte County is the location of the city of Chico, home to the brewery’s original headquarters. In fact, the fires have come so close to the brewery that the company was able to post the following, disturbing photo to Instagram of the flames on the horizon. Thankfully, it appears that firefighting forces have been able to keep the fire outside the bounds of Chico so far, but the image itself is terrifying. Family and staff of the company have already lost homes to the Camp Fire, with Sierra Nevada spokeswoman Robin Gregory saying to Brewbound that the fire had displaced 10 percent of the brewery’s workforce. IMPORTANT ANNOUNCEMENT: The Chico brewery is closed until further notice. Our Chico brewery is close to the #CampFire and safety is our first priority. As such, the Chico brewery will be closed until further notice. Please do not come to the Chico brewery. Many of you have so generously reached out about fundraising efforts and asking how you can help. At this point, we are entirely focused on making sure people are safe, but will follow up with more information shortly. Many of our employees are currently affected by this fire and we may be slower than usual to respond to messages. Thank you so much for all of your support. We are so grateful for the wonderful community we call home. ?? But to their credit, Sierra Nevada didn’t just stop after promising to offer aid to their own family and team members. Yesterday, the Chico pub reopened in limited fashion in order to offer free meals to first responders and displaced members of the Chico community. They even offered clothing, straight from the gift shop, to those who needed changes of clothes. All we can do in response is stand and applaud. If there’s one brewery in the American craft scene that has always been known as a class act, it’s Sierra Nevada, and this is just one more reason why they remain such a beloved brand. We urge you to follow their example and donate to the fund established above.